Coconut is one of the few foods that can be classified as a “superfood.” Its unique combination of fatty acids can have positive benefits and effects on your health. 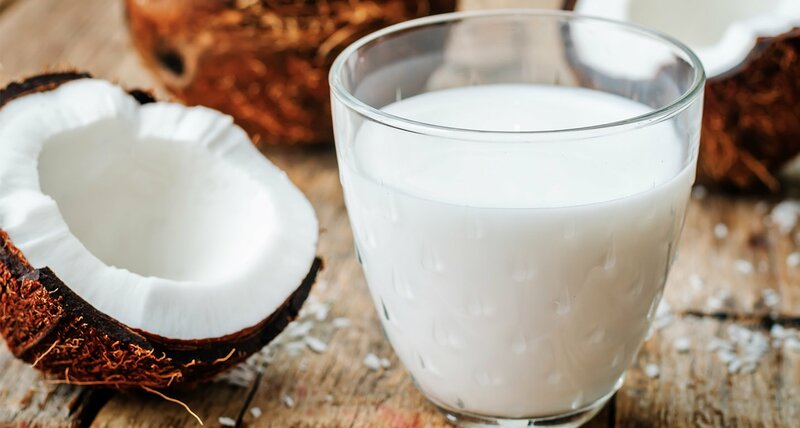 You can gain such effective benefits from making your own coconut milk. This simple recipe is perfect for any breakfast cereals! The beauty is, it can also be used for baking, cooking and in many other interesting ways. Coconut contains natural saturated fats that increase the good HDL cholesterol in your body. They may also help turn the bad LDL cholesterol into a less harmful form. By increasing HDL, many experts believe that coconuts could be good for heart health compared to many other fats. Heat water, but don’t boil. It should be hot, but not scalding. Pour through a strainer first to get most of the coconut out, and then squeeze through cheese cloth to get remaining pieces of coconut out. Flavor options- add in after all coconut has been strained out: ½ tsp vanilla extract. Drink immediately or store in the fridge. Should be used in 3-4 days after making for best flavor and texture. Since there are no preservatives or fillers, the “cream” of the coconut milk may separate on the top if stored in the fridge. Just shake or stir before using.